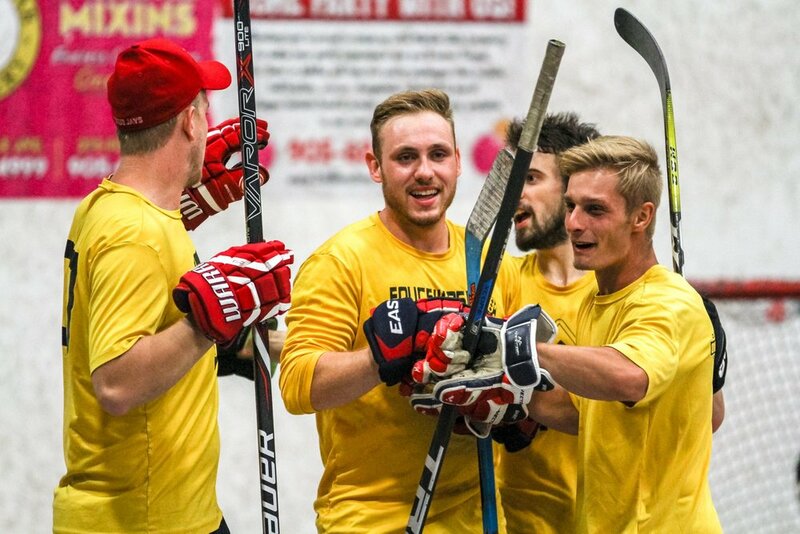 You can register online by clicking the buttons below or in person at the Niagara Ball Hockey Club located at 16 Melbourne Avenue, St.Catharines. For more information, please call the rink at 905-646-0480, or email Mike McGuire at mikemcguire@ballhockey.com. FINAL ROSTER DEADLINE IS JULY 14, 2019. Teams may be scheduled at any of the locations below with the Ballhockey.com Athletic Center operating as the main facility. Our highest competitive division offered, our Men's B divisions follows WOBHC restriction guidelines. Our Men's B division offers a CASH PRIZE of $200 per entered team for the season winner! Register for your opportunity to compete against the best league teams Niagara has to offer, and take home the cash! These divisions are for the majority of players looking to for a competitive environment to enroll their team and play. There are talented players in the division, but they are spread among the teams. This is a new offering at the club designed to allow players to continue to enjoy the game at an older age in a completely recreational environment. This is a meant to be a social activity that is designed to feel like an organized pick-up game each week.